We wish to recruit an experienced and qualified Maintenance Manager to provide a high quality repairs service to our tenants and other customers. The post is temporary due to an impending review of the Association’s staff structure and is expected to be for a period to December 2019. The successful candidate should be educated to degree level preferably with a technical qualification and possess a minimum of 5 years’ experience in management of maintenance and development services, as well as a minimum 5 years managerial or supervisory experience. It would be desirable if candidates have experience of managing a direct labour operation, as well as social housing or housing association sectors. You should be able to plan and prioritise a heavy and diverse workload to meet challenging deadlines and personal and organisational goals. You should be able to display strategic capabilities; have a proven track record of achievement in delivering successful outcomes and innovative solutions; are customer focused, highly proficient in I.T; possess excellent communication and interpersonal skills; and be highly motivated and committed to excel in the role. We would also expect the successful candidate to be a strong leader, where he/she is able to lead, manage and direct the staff team in the maintenance section and the Trade Team to achieve a quality and efficient service. In return, we offer an excellent package including a competitive salary, a contributory pension scheme, 40 days leave (15 of these are public holidays). Application forms can be downloaded here – Recruitment Package – Maintenance Manager (Temporary) or by contacting the Association’s office on 0141 945 6708. PLEASE NOTE CV’S WILL NOT BE ACCEPTED. APPLICATION FORMS ONLY. Cadder Housing Association is an Equal Opportunities employer and we make appointments on merit. We welcome applications from applicants regardless of their gender, ethnic group, religious or political beliefs, marital status, age and sexual orientation or who have disabilities. Closing date for the applications will be Monday 29 April 2019 at 12 noon. 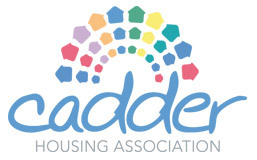 Applications can be emailed to recruitment@cadderhousing.co.uk or posted to the Association’s office. Interviews are likely to take place week beginning Monday 13 May 2019. Cadder HA was established in 1994 and is situated in the North West of Glasgow. We own and manage 1050 properties of mixed stock type in Cadder. We wish to recruit an experienced and qualified Technical Services Officer to manage the Association’s Trade Team and external contractors to provide a high quality, efficient and effective maintenance service to meet the needs and expectations of our tenants and other customers. The post is temporary due to an impending review of the Association’s staff structure and is expected to be for a period to December 2019. The successful candidate should possess a technical qualification and have a track record of property management in a housing organization, as well as experience of supervising a maintenance department and liaising with contractors in re-active, cyclic and planned maintenance repair work. It would be desirable if candidates have experience of managing a direct labour operation, as well as social housing or housing association sectors. You should be able to plan and prioritise your work and the work of your team to meet challenging deadlines and personal and organisational goals. You should be customer focused, proficient in I.T; possess excellent communication and interpersonal skills; and be highly motivated and committed to excel in the role. We would also expect the successful candidate to be an effective leader, where he/she is able to lead, manage and direct the staff team in the maintenance section and the Trade Team to achieve a quality and efficient service. Application forms can be downloaded here – Recruitment Package – Technical Services Officer (Temporary) or by contacting the Association’s office on 0141 945 3282.